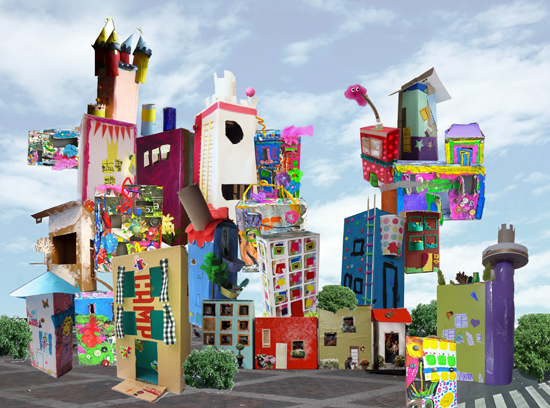 Alec’s nursery school is starting a project this term focusing on “Our City”. I love this idea. I think it’s wonderful to really embrace the urban lifestyle that these kids have and help them to appreciate their city and all that it has to offer. This exhibit is made of shoe boxes. These pins were the first ones I found. I love the black and white city! This is a milk carton “skid row”. With lights. Lovely! This village is so sweet. The houses were used as Valentines mail boxes. 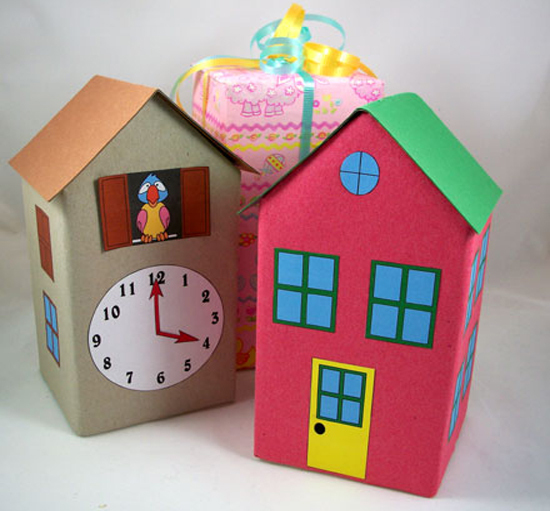 Here is a good how-to for making milk carton houses with roofs – there are even downloadable details (doors, windows, roof tiles etc) to decorate with.